Mosquitoes might be tiny insects but their economic bite has become deadly over the years. It is a known fact that mosquitoes are carriers of several diseases that cause thousands of death worldwide. According to WHO (World Health Organization) mosquitoes is listed as top threats to public health across the world. 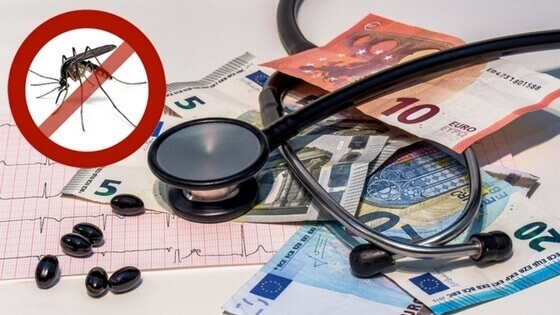 The economic cost of dengue illness for Singapore government has been in the range of $0.85 billion to $1.15 billion from the year 2000 to 2009. There is no doubt Dengue has been a serious economic and disease burden for Singapore. All these activities need a large number of funds that heavily affects the government spending towards other development work. According to Singapore health reports, the vaccination programs are quite expensive which cost $100 to $500 per dose respectively. People need to take preventive measures to protect themselves from mosquitoes and the diseases they carry. Mosquito repellents are effective in protecting you against mosquitoes. According to research, mosquito repellents are safe to use even for children and pregnant women. Mosquito repellents works by interfering with working of chemical receptor cells in mosquito’s antennas. With mosquito’s chemical receptor cells affected, it cannot detect traces of carbon dioxide and lactic acid in the air and hence cannot detect the presence of humans nearby. They just fly past humans looking for prey elsewhere.